Recreational Activities and their Pastimes. 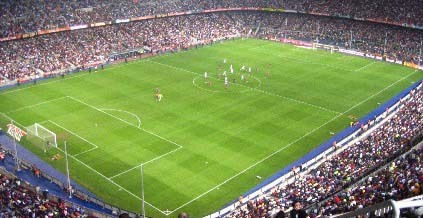 Spaniards are passionately interested in sports, both these common to the rest of Europe and those particularly Spanish. 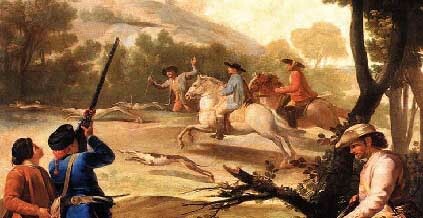 Hunting and fishing in Spain, better provided with game than any other country in Western Europe, are popular pastimes. Of the big game, deer is the most plentiful. Smaller game, especially red partridge, is often shot by the hundreds in organized drives. Salmon is found in many streams in the North, and trout in abundance swim the upper reaches of almost every river. Underwater fishing, permitted on all coasts, is most rewarding in the Balearic Islands. Regulations governing this sport are strict. Information on the licenses required for all the activities mentioned can be obtained from any Spanish National Tourist Office. Several internationally successful players have given an impetus to the already popular game of golf. The country's 80 courses, most located in places of outstanding beauty, welcome visitors. Carts and clubs are available for rental. Anyone with energy and an appreciation of nature has a choice of gentle or steeper gradients. Seven hundred fifty Spanish clubs, many owning mountain refuges, are devoted to hiking. All of these organizations with memberships open to climbers of any nationality are grouped under the Federación Española de Montañismo, an affiliate of the American Alpine Club. Every year more and more enthusiasts frequent the peninsula's four main ski areas--the Spanish Pyrenees, the Cordillera Cantabrica, the mountains around Madrid and the southern Sierra Nevada. Winter resorts offer all the amenities, usually at modest prices. Soccer, called fútbol, is avidly enjoyed, both as a recreational activity and as a spectator sport. During the sea son fans pack Spain's modern stadiums--Madrid's being one of the largest in the world--to watch the skillful plays of the Real Madrid and other teams. The strenuous Basque game of pelota, or jai alai, is enacted on a cement court called a frontón. The players, two on each side, wear foot-long baskets as extended gloves in which to catch the hard balls and hurl them back against a wall. A wire net protects spectators from the hundred-mile-an-hour impact of misfired balls. Although not as popular in Spain as in America, horse racing does boast several good tracks. Jumping trials and exhibitions, in which officers in crack cavalry regiments take part, enjoy a larger attendance. Greyhound racing, a traditional Madrid pastime, attracts many followers, as does the Formula One Grand Prix held at the Jarama track just outside the capital. Every day Spaniards buy tickets for the national lottery from street vendors. Winners of the Christmas lottery, El Gordo, share in a 550-milllon-peseta pot to become instant millionaires.